Researchers are learning more and more about the intersection between science and religion and medicine and belief. 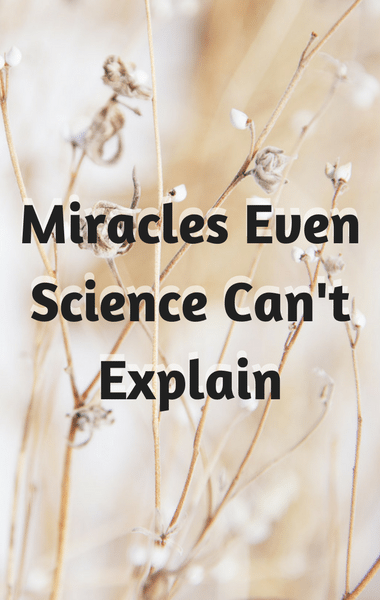 Is God behind miraculous cures that have no Earthly explanations? Dr Oz was curious as to what is going on behind the secretive process where scientists, doctors, and clergy decide how to define a miracle. He began with what happens when we die. Dr Oz heard several incredible stories about recoveries and cures that seemed to defy scientific explanation. Stories like that capture our imagination and confound science, raising the possibility of miracles. Miracles are still used by the Catholic church in the process of awarding sainthood. Mother Theresa is said to have performed two miraculous cures. Dr Oz wanted to explore the intersection of faith and scientific fact.